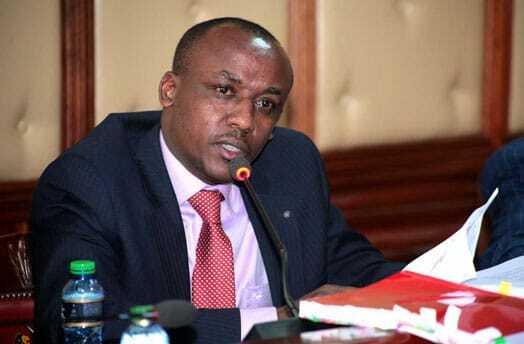 Makueni Senator Mutula Kilonzo Jnr questioned the presence of Chinese workers in the country. He noted that it was unfair for Chinese Nationals to do the work that Kenyans can easily take up. “When you see a Chinese who cannot speak English manning a gate in Kenya and Kenyans are looking for jobs, what are you talking about?” the senator posed. The senator called on his fellow senators to review the standard gauge railways project. He warned that Kenya might soon be a Chinese colony if the Kenyan government continued to take huge loans and awarding the major projects to China. He accused the Chinese contractors of splitting a school in Makueni so as to build the railway. They refused to repair the damages caused to the school and instead bribed the teachers at the school with Sh.200,000. He also accused the foreigners of being behind the flooding at Sultan Hamud as they blocked waterways as they constructed. He said that the SGR had left Kenya with a huge debt.